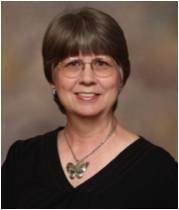 Mary Harwood Bullard, ACP resides in Woodway, Texas where she works as a Legal Assistant at Deaver & Deaver. She has an Associate in Arts and Sciences from Richland College in Dallas and a certificate from the Legal Assistants Program from Southern Methodist University. Mary specializes in Texas real estate and business law and has her Advanced Certified Paralegal credential in Land Use from NALA. 1. What prompted you to choose a paralegal career? I was a legal secretary at Dresser Industries in Dallas in the 1970's and an attorney in the tax law department suggested I consider becoming a paralegal. I was very fortunate to be employed by a company that would pay for my education so I enrolled in the legal assistants program at SMU. I discovered I loved the profession. 2. What is your favorite part of your job? The favorite part of my job is drafting documents to suit unusual real property situations. I discovered early in my career that I have an aptitude for writing. 4. How has your membership benefited you? One of the best benefits of membership is networking with other legal support professionals. Over the years I have been fortunate to develop lasting friendships with other paralegals. Membership has also provided an avenue to achieve paralegal certification and afforded me with opportunities for timely, contemporary legal education. 5. What has been the highlight of your career? The highlight of my career was being awarded the designation Certified Legal Assistant by NALA. After being seriously ill for many months, I chose to pursue certification as a mean of restarting my legal career. I knew that I had my new beginning when I received the certificate reading CLA! 6. What do you see as hot trends in the paralegal industry? As corporations look for new ways to reduce legal fees, many have begun outsourcing their legal work outside the United States. While there are ethics issues that need to be resolved with international outsourcing, outsourcing could make it more difficult for the smaller law firm to survive. It will become even more critical for paralegals to keep their knowledge and skills, both technology skills and legal skills, at the highest level to justify being retained during reductions in staffing. 7. If someone contemplating a paralegal career asked you for career advice, what would your answer be? My advice would be that a paralegal career is an interesting and rewarding career but requires dedication to education, which will require time spent online, in the classroom, or at conferences. I would also stress the importance of pursuing certification. 9. You've enjoyed a successful paralegal career. To what single event or person do you attribute that success? I attribute my success to my Mother who was my mentor and told me to strive to be The Best at my career. She inspired me to never do things half way but to take pride in my work no matter how small the task. 10. What is the most important step a paralegal can take to keep his or her career interesting? Never stop learning! Reading about current trends and opportunities keeps the job fresh and new which always make it more interesting. 11. What electronic device can you not live without? My iPad which I use as a book reader, to play Scrabble, to send and receive email, and to reach the internet. 12. What was your first car? A 1962 AMC Rambler with a push button transmission. The button to put the car in Reverse had fallen through the dash making it necessary to use a screwdriver with a long shank to change to that gear. 13. What was your first job? My first job was with the Dallas Public Library. My title was "Page" and my duties included shelving books and obtaining periodicals for library patrons. Bonus Question: What is your favorite hobby? Genealogy. I have been seriously doing research for the past 20 years.